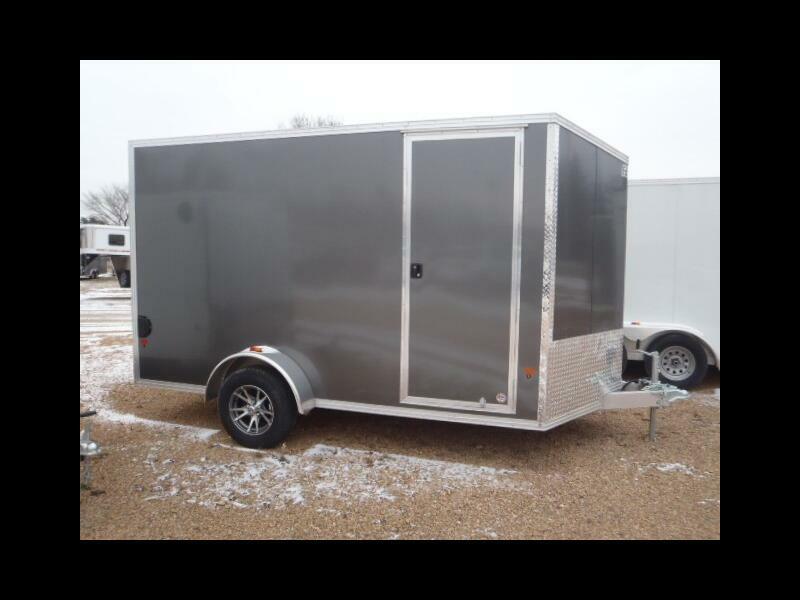 Brand new 7 x 12 plus 2' Vee nose, all aluminum, enclosed cargo trailer, single axle with brakes. 3500#GVWR Loaded with features like smooth screwless exterior, sloped nose, rear ramp door w/spring assist, side door, extra height, alloy wheels, 24" stone guard, starter flap on ramp, extra tall side door. Check it out.